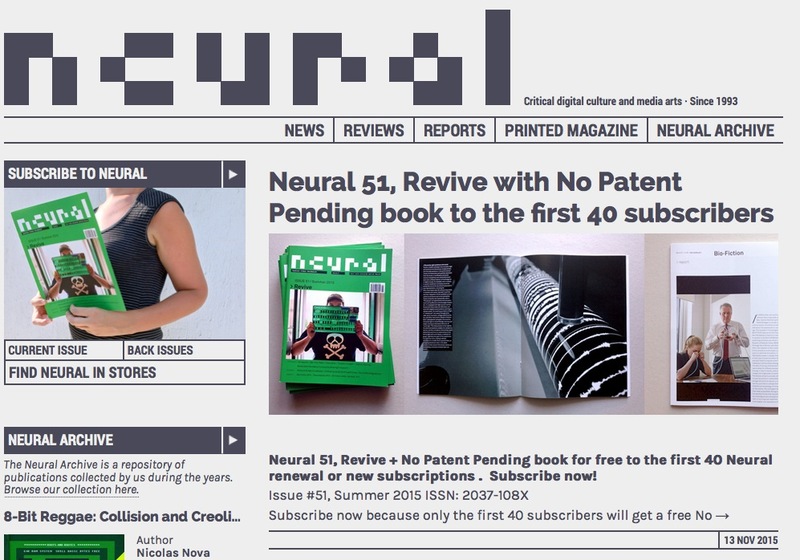 40 copies of No Patent Pending, Self-made Performative Media will be sent as a gift with the first 40 new (or renewed) subscriptions to Neural magazine. There are some books that manipulate content and form to create a seamless continuum of a central idea. This anthology of texts is one such book: perfectly consistent in its design, production and content.